The Earth Space Centre created by the world’s nations, has detected a huge asteroid field just outside the solar system. Yeah! It’s not a joke. The future of humankind is at stake. Most of these asteroids are headed straight towards earth, some will hit and some will not. The Earth will be destroyed if we will not save her. The people will not survive at all. It’s the year 2415, 4 centuries ahead from today. Only you ‘the fighter pilots’ can save them. Are you worried? Seriously! Let me tell you, it’s an action packed game not reality. 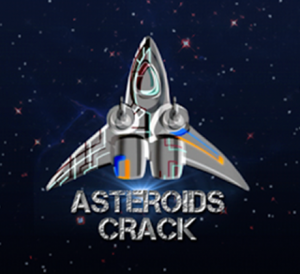 It is an Asteroid Crack Multiplayer application. As the name suggests, you can play multiplayer mode in real time with your friends and family. So, don’t worry about getting bored, you can enjoy anytime, anywhere, whenever you want to have fun with your friends or anyone else. This app has been offered by Mike Leenaars. The app is compatible with all Android Smartphones and Tablets having the latest version of the Operating System. Now the question is what you have to do in this game? What’s entertaining about this game? I’ll tell you everything one by one. Let’s start! 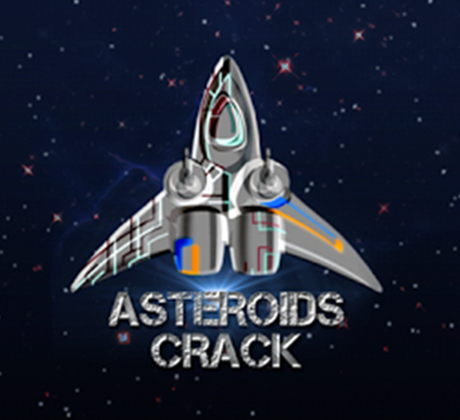 Asteroids Crack Multiplayer has so many levels to play. Once you complete a level, other levels will be unlocked. 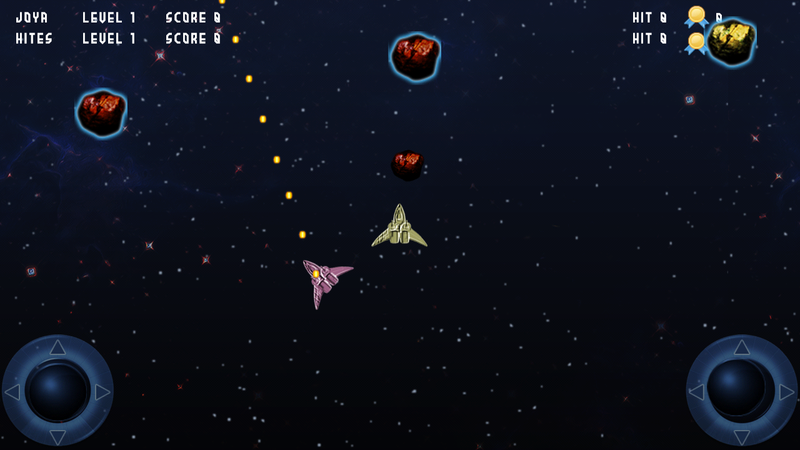 You are the “aces” who can destroy asteroids. 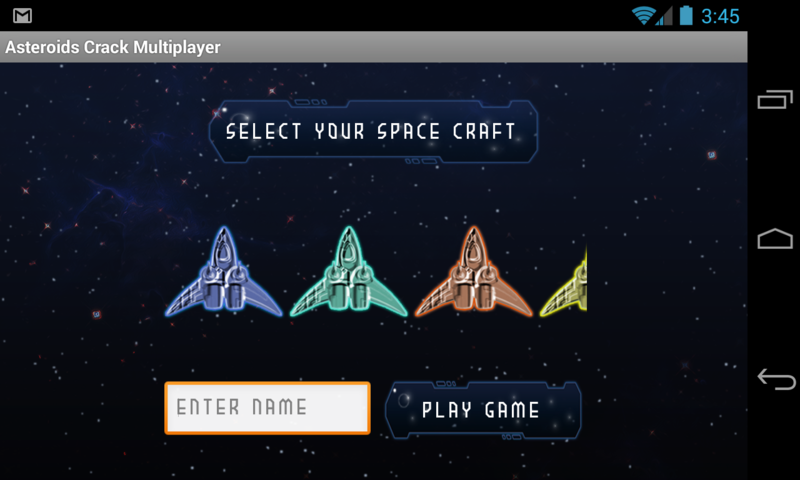 Choose your aircraft, strap yourself, launch into space and blast various colored asteroids. You can invite your friends to compete with you. Start playing levels by joining a new room and destroy the asteroids to protect your future. The game is very simple. There are different colored asteroids- Green, Gold and Red. When you hit Green asteroid, it gives protections for 10 seconds. By hitting Gold, you can get double points for 10 seconds. However, If you don’t hit Red Asteroid, the game will be over even with extra protection from Green Asteroid. You have to hit the Red Asteroid twice to destroy it completely. If the asteroid collides with another player, the game is over. So, you have to focus on destroying 10 asteroids to complete the level. After completing the level, you’ll get 1 medal and 100 points . You can see your scores and achievements on the Leaderboard which displays who is the best pilot based on your medals and points earned. You can share your scores and awards on social media like Facebook and Google plus. sound effects. You can mute the sounds, if it is annoying. This game is easy yet challenging at the same time. It’s totally a fun based game. 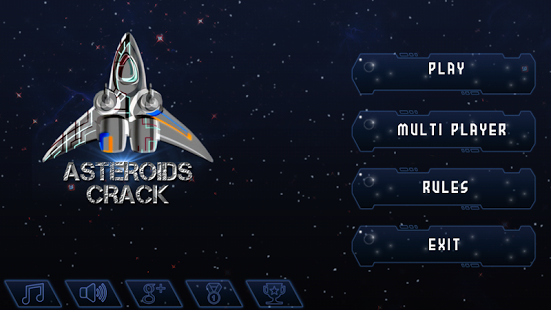 Start playing the game today and save the future by blasting asteroids! You can buy the app from Google Play Store at just Rs. 120. PROS: Exciting; challenging; real-time multiplayer mode; awesome graphics; good sound effects; multiple levels; chances to win medals; addictive gameplay.